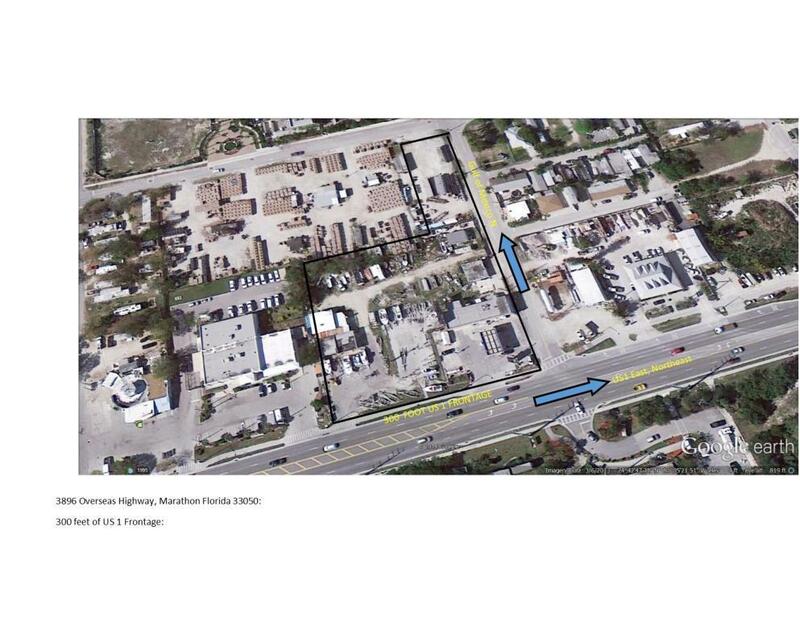 99,752 square feet of Mixed Use Commercial property with 300 linear feet on US1. Several buildings on property are occupied by tenants but leases reflect development deal possibilities. DO NOT TALK WITH OR DISTURB TENANTS. Please do not enter property without Listing Agent. Property is on the Gulf Side of US1, and currently leases to multiple tenants. Large parcels are few and far between in the Middle Keys. Multi unit development would be perfect in this growing commercial sector of Marathon Across from the Community Park. All Photographs show the property prior to Hurricane Irma. The Hurricane did impact the property. The tenant's businesses are not for sale under this listing. No businesses convey with this property.